Two men who are on parole for beating and robbing a Lakeview man near Wrigleyville in 2015 are back in jail—accused of reuniting after prison to rob another man together in Uptown last December. We told you about the arrest of Joshua Tucker last week after cops arrested him at his South Chicago home and prosecutors charged him with robbing a 21-year-old man in the 4100 block of North Marine Drive on December 21. Now, incredibly, we’ve learned that 24-year-old Tucker’s “other half” was arrested on Sunday for the Marine Drive robbery. Titus Meadows, 26, was taken into custody after being positively identified by the victim, according to court records. He’s charged with robbery and Judge Stephanie Miller ordered him held without bail. 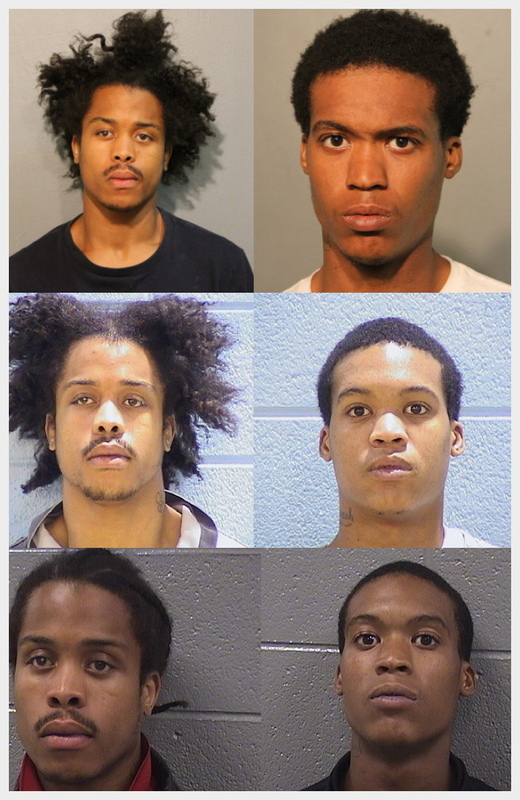 Tucker was paroled on August 18 and Meadows on June 2 after each served half of their 54-month sentences for beating and robbing a man in the 1200 block of West Racine on August 22, 2015. The 2015 victim told police that three men jumped, beat, and robbed him on the street. Cops followed pings from the victim’s phone to locate Tucker and Meadows near the Boystown bar strip. Now, prosecutors say, the dynamic duo reunited around 8 p.m. on December 21 to rob a Lincoln Park man on Marine Drive. Tucker and Meadows allegedly approached the man, pushed him to the ground, punched him repeatedly, and took his phone and wallet. Back in 2009, Meadows was convicted of an aggravated robbery on the South Side. Working solo for that one, Meadows received a four-year sentence.